This little pair came my way this Friday morn. What made it especially appealing is the original boxes AND envelope of issue in which the medals came. What is also "nice"is the unusual clasp combination - including 5 battle bars. I have examples of boxes for some of my medals but the envelope was a first for me. 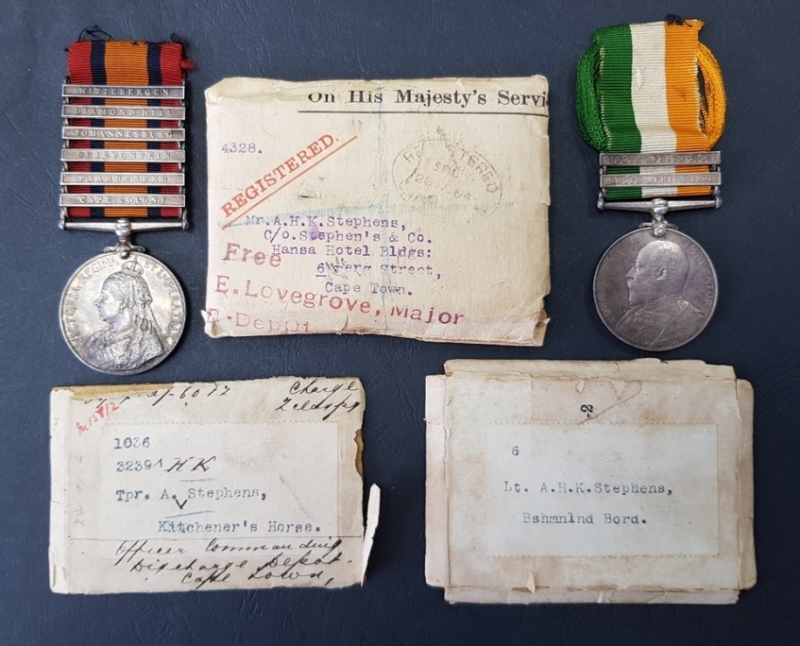 The medals to Edward Lovegrove (who's stamp appears on the envelope) reside in a friend's collection in Cape Town. A wonderful pair Rory; the ephemera takes the group over the top. A nice pair Rory. Albert Hugh Keating Stephens started off as a “Duke”. He would sit well in Cape Town beside Lt. Colonel Edward Lovegrove! I also look forward to your write-up. Always interested in medals awarded to “Dukes” recipients.